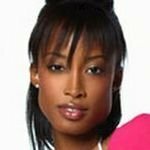 keenyah cycle 4 photos | Where are the models of ANTM now? Keenyah managed to make it all the way to the final three this season on America’s Next Top Model, but was cut just prior to the final challenge. What did she think of the experience and how the judges harped on her weight? The answers are right here. Before the show started this season, I pegged Keenyah as a favorite, and she didn’t disappoint. Yeah, as time went on, she came across as a little more cocky than she did when the show first started, but all in all, if I were to have Sentimental Favorites for this show, Keenyah would be right up there. I had a chance to speak with Keenyah the day after the finale, and her personality shined on the phone just as it did on the show. RealityNewsOnline: Had you watched previous seasons of the show and what factored into your decision to apply? Keenyah: Oh, I had watched every episode of every season of the show prior to being on it. I finally had a gut feeling that I could do this, so I held my breath and auditioned. I never in my wildest dreams would have though I’d be sitting her talking to you. RNO:Do you feel that as the season wore on, your confidence was starting to be portrayed as cockiness? Keenyah: Yes, I do feel that as time went on I was edited to look a little more cocky than I actually was. I had tons of confidence, and that transcended into me being cocky, which wasn’t the case. I think it was more the editing, and I really hope people don’t see me that way because I’m a really nice girl! RNO: In reality, was the whole weight issue as big a deal as some people were making it? Have you lost the weight you put on during the show? Keenyah: Yes, I think it was while I was on the show. It was stressful for me, and eating is a way for me to calm down. It’s just “my thing.” However, since the show has ended, I did start to make better choices in my diet, and I’m exercising on a regular basis. That’s the most important thing. I have lost the weight since the show – and then some! RNO: It seemed like you never understood why the judges liked Naima so much. Do you still feel that way? Keenyah: I agreed with all of the critiques the judges were saying, and I’m happy for Naima because she really deserved to win. Of course, I wish I had won, but what can you do? RNO: Did you feel that when the judges made you pose as gluttony, and then an elephant, that they were tying to send you a message, or was it coincidental? Keenyah: At first, I definitely thought it was this major conspiracy to make be gluttony and all fat and hungry, then I thought it was really a conspiracy when I had to be an elephant. After watching the show though, I do think it was more on the “coincidental” side, since SOMEONE had to be gluttony and SOMEONE had to be the elephant. I think we all had our embarrassing moments, but honestly, I think it was more coincidental than anything else. RNO: Was Brittany correct when she said you didn’t know if Nelson Mandela was still alive or not? Keenyah: Yes, Brittany was correct when she said I didn’t know if Nelson Mandela was still alive or not. I guess maybe I just wasn’t caught up on things at the time, but when I returned home, I researched Mandela and understood the struggle that he went through. It’s truly amazing, and I’m much more aware of things now. RNO: Was there ever a doubt in your mind that you would be the one going home when it was just you and Kahlen in front of Tyra? Keenyah: Before we were brought back into the judging room, myself and Kahlen both thought it was going to be her going home. It was the whole confidence thing, and the judges kept stressing that Kahlen didn’t show any, and I had a whole lot of it. Therefore, of course we both thought that it was going to be her eliminated. You could imagine how shocked I was. RNO: Do you feel the editing was fair to you? At times, it seemed like you were either Brittany’s sidekick, or coming off a little condescending. Keenyah: Brittany and I were very close on the show, but I think of the footage you saw, it’s hard to understand that we weren’t like that all the time, and you are only seeing a very little bit of our friendship. I don’t think in any way was I ever her sidekick. Will Top Model’s Baddie Make Good? Although we’re stoked that soft-spoken Naima Mora won the fourth edition of America’s Next Top Model, we have to admit that, week in and week out, it was the mischief made by third-place finisher Keenyah Hill that really amused us. One minute the 19-year-old California girl would be knocking the knockout who’d eventually beat her, the next she’d turn on her constant companion, Brittany Brower. Truly, no one was safe around this sharp-tongued stunner. And bless her heart, the only thing she approached with greater hunger than the competition itself was fresh chow on the dinner table. Join us now as TVGuide.com attempts to serve this diva-in-the-making some food for thought. Keenyah Hill: Yeah, so close! And then to be just flushed down the toilet was very hard. But I got over it. I’m doing great! TVG: Toward the end, you were getting a little fierce… and not in a good way! You were pushing other girls out of the way at go-sees, biting Brittany’s head off etc. Keenyah: I do agree I got pretty aggressive toward the end, and that was due to the situation. It was so stressful, and we were all getting so close. You have to keep your eyes on the prize! So I don’t regret anything I did, because when I was supercompetitive, I ended up winning that [go-see] challenge. I just tried really hard to stay in the competition. TVG: Did you and Brittany eventually kiss and make up? Keenyah: We sure did. Brittany and I are great friends. We’ll probably be great friends forever. It was such a stressful moment every time we got into an argument, but we refused to let those moments define our relationship. TVG: They probably kept you sane. Keenyah: Yeah, they kept me feeling like a real person. TVG: You two were an odd pair. She is so loud and so obnoxious! Keenyah: I love Brittany’s personality! When we first started, I thought, “I’ve got to find somebody who is fun and outgoing and matches my personality as close as I can find.” And Brittany came in, full of energy and life! That’s something I think keeps you happy in a competition, as opposed to someone who is very quiet and mysterious. TVG: Or fragile like poor Kahlen Rondot, who cried the whole time you and Brittany were going at it. Keenyah: [Laughs] Yeah. Going into something as emotionally grinding as the show is, there are certain things that are going to happen, and you just have to deal with it. Everything’s not going to be peachy-keen all the time. TVG: Indeed! Brittany nearly got you eaten by lions! Keenyah: [Laughs] Oh, man, I really thought that I was going to be dinner that night! It was very, very scary, but once I got to the other side of that gate [at the animal preserve], I thought, “Wow, that was a lot of fun!” Before the show, the closest I had gotten to any safari was watching The Lion King, so I enjoyed it a whole lot. TVG: It was surprising that when a male model got a little too “friendly” during a shoot, you didn’t just take his head off and be done with it. Keenyah: I tried to be very professional and also keep my head on tight, because I can be criticized for having a bad picture and I didn’t want it to be because of someone who was going to be in the shot with me. So I had to try to let him know that I was uncomfortable while being as professional as I could be, and luckily I was able to get a good shot. TVG: Were you surprised that Mr. Jay didn’t take him aside and say, “Hands off, bubba!”? Keenyah: No, because obviously, this is just a humongous test for what will happen in the real world. And of course, there are going to be tons of other male models who are going to be groping and, you know, cross that line. So this just prepared me for my future. And I have no problem with Jay doing exactly what he did. TVG: Which was more embarrassing — having to pose as an elephant or being caught on tape stuffing your face? Keenyah: I would have to say being caught on tape eating so much, because I pulled off the elephant look very nicely, I think! But I definitely thought that each time America saw me eating, everyone was thinking, “Oh, she’s overeating!” But it was so stressful that I wasn’t disciplined in my food habits. Now I’m exercising and eating right, which is key. TVG: You never thought, “To hell with it! Gimme another fry; I’m just gonna be a plus-size model!”? Keenyah, a 19-year-old student from Compton, Ca was the twelfth girl eliminated from America’s Next Top Model 4. Here’s what she had to say about her experience on the show. For many girls, becoming a model is a dream they have had since they were young. Some girls make this dream a reality and others do not. Keenyah Hill, from America’s Next Top Model, season four, has reached that goal. Shine Magazine recently caught up with Keenyah to see what’s going on now, and what’s she’s been up to since the show. Shine: How are you? How have you been since the show? Keenyah: I’ve been really good. I have a lot of work coming up. I got signed to a modeling agency and I’m going to be moving to New York. Shine: How does it feel coming so close to winning on a reality show? Keenyah: It felt very good that I made it that far on the show. But, realistically it was a real big tease. It really affected me when I didn’t make it because I made it to the top three, and usually the top three is such a big deal. And making it that far and not winning was a big downer. So it felt good to make it that far and then it didn’t feel good. Shine: Could you describe the feeling? Keenyah: Yeah, my heart was majorly broken. I was extremely surprised because the girl who was running against me had just received a really bad critique, and I thought that during deliberation that I was absolutely going to be the one that was going to stay and do the final fashion show with Naima. So, me not being able to make it really broke my heart. It was a big shocker. It affected me a whole lot. Shine: Do you continue to talk to anyone from the show? Keenyah: Yeah, I talk to a lot of girls from the show. I talk to Naima, the winner, Lluvy, Brittany, Kahlen, and Rebecca. We’re all really good friends. Shine: How did you end up getting on the show? Keenyah: I was actually watching Ricki Lake one day really bored and I saw a commercial saying “If you think you got what it takes come on down to this audition tomorrow.” It was the LA audition, and every girl in LA thinks she is a model. So it was tons of girls. We basically told the producers why we thought we should be on the show, and we did a runway walk and they kept calling me back audition after audition. Finally I made it to semi-finals, to making the cast of the show. Shine: I’m glad you didn’t fit the “black girl from the hood” stereotype. Keenyah: Thank you, I get that all the time. I think that is what set me apart from the other two black girls that were on the show. Even though I was from Compton I didn’t represent a stereotypical black girl. That’s why people think of me differently and people weren’t able to typecast me into a certain category. Shine: Are there any photographers in particular you’d like to work with now? Keenyah: I would actually love to work with Steven Meisel. He is a photographer for Elle Magazine and lots of other top magazines. He is wonderful. I love the way he works with models. Shine: What designers would you like to work with? Keenyah: A lot. I would love to work with Michael Kors, Alexander McQueen, and Dolce & Gabbana. Those are designers that I love among everyone that’s out right now. Shine: Those is my dudes right there. I like D&G, Alexander McQueen, Yohji Yamamoto, and Christian Lacroix. Keenyah: Oh yeah, I love Christian. Christian is up there. Shine: Who’s your favorite fashion designer? Keenyah: I would have to say Stella McCartney. She has a lot of style. It’s not very trendy and it’s something I could wear on the way to an event. I really like her individuality when it comes to styling. Shine: What is modeling to you? Keenyah: Modeling is everything to me. It’s kind of what I feel like I was put on the earth to do. Of course I liked school and everything a whole lot. But modeling is where my passion was and it’s where my heart always is. And then I fit the category of a model -tall, skinny – you know. I feel like I have the attitude, [and] the personality. Those things kind of make me feel like…when I wake up that it was really fit for me to be a model. Shine: If it weren’t for modeling what would you be doing? Keenyah: I would probably be in school studying to be a pediatrician. I liked biology a lot. That was number two if modeling didn’t work out. But it’s going pretty good so far. Shine: You said your mom is an artist. What kind of artist is she? Keenyah: She sculpts faces out of clay and frames them with glass. It’s really nice stuff. Shine: What was Africa like? Keenyah: Africa was crazy. Absolutely crazy. So many words for Africa. It was definitely one of the places that I wanted to go to before the show, and when I went there all the assumptions that I had were totally pushed aside. There weren’t lions and zebras running all over the place. It is actually a pretty civilized place. Very modern. Not a third world country and it’s very different. I liked being around my people, it felt very good. Shine: Would you do something like America’s Next Top Model on Fear Factor? Keenyah: No I would not. :::laughs::: I like watching Fear Factor but the season I was on already cut it kind of close. If it were to be anything along that line crossing onto the Fear Factor side I couldn’t do it. :::laughs::: Eating cow and all kinds of things, and jumping from planes wouldn’t be it for me. I don’t think so. Shine: Do you have any tips for aspiring models? Keenyah: For every girl who wants to be a model, actress, or anything in the entertainment industry you have to make sure that you really want to do it. Make sure that it’s your heart and your passion because if it’s not, whenever you come to a bump in the road it’s going to be twice as hard for you to move on. Really wanting things will definitely push you to do things that are beyond your imagination. So make sure you really want it. Shine: Any last words or shout outs? Keenyah: Definitely. Nobody is ever going to hear the end of Keenyah from America’s Next Top Model. So keep your eyes open.